If you haven’t yet ordered your signed copy of my new book Underdogs at the special pre-publication rate, be sure to join me at the Natural History Museum in London on the 13th of December. My free Nature Live talk about the endangered African wild dog will be the last chance to pick up a copy of Underdogs for just £25 (as opposed to the sales price of £32.50). This event will also be a chance to learn about the ecology of this remarkable predator, the reasons behind the species’ persistent decline in numbers and the conservation efforts being made to secure a future for the wild dog in a developing Africa. It will also be a chance to have your questions answered and get your book signed. So join me on the 13th at the Natural History Museum or, if you can’t make it, order your signed copy today to make sure you don’t miss out on this offer. And remember, a donation from sales will be made towards African wild dog conservation efforts. With some exciting announcements coming up like the launch of my African wild dog book Underdogs (which will be available shortly for order in time for Christmas) a talk at the Natural History Museum in December, and new photo safari dates, why not follow me on twitter, follow Conservation Photojournalism on Facebook or sign up to follow this blog (see the ink on the right)? …help choose the cover photo. 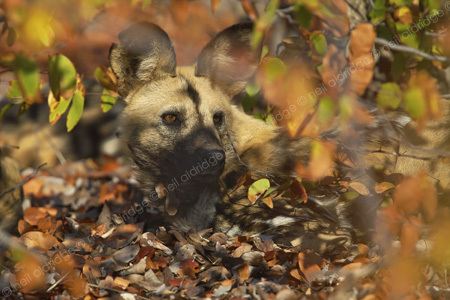 My African wild dog book Underdogs will soon be available to order but first I want your help to choose a cover photo. Look at the four photographs below and then vote for your favourite in the poll. My image ‘Survivor‘ has been announced as part of the winning portfolio of the coveted international Wildlife Photographer of the Year award. This image of an alert and vulnerable alpha female African wild dog was chosen as one of the top shots in the Gerald Durrell Award for Endangered Wildlife. You can see the photograph and the stunning exhibition of all the winning photographs at the traveling exhibition in more than 70 cities worldwide, as well as the 20th portfolio book of winning images. 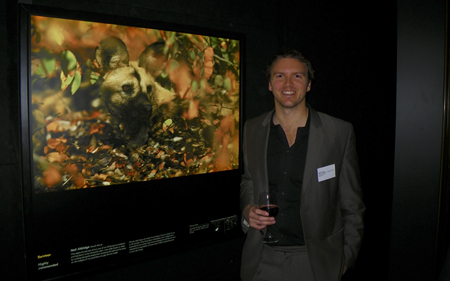 Being a part of the launch and celebration at London’s Natural History Museum during the international year of biodiversity has been something special and the messages from this portfolio have been perhaps more poignant than ever, not just from within this category highlighting the plight of endangered species, but with the advent of the new Wildlife Photojournalist of the Year category as well. I will be giving a talk about this photograph and elements of my Underdogs project at the Natural History Museum at 14.30pm on Saturday 23 October in the Attenborough Centre as part of the Nature Live series of events.